I spent this past weekend leading my Chincoteague Nature Photography Bootcamp. This was my fifth or sixth time leading a workshop on Chincoteague and as always I go into the field with no real solid expectations, but rather choose to remain flexible and work the light and wildlife with whatever comes my way. We had a great group of 8 very talented photographers who made the best of the sometimes tumultuous weather and high winds. All in all. I was very impressed with everyones work in the critique session at the end of the workshop. Below are a few of my favorite captures from the weekend. Each set of images illustrates a beautiful, yet standard capture on the left, complimented by my attempt to capture a deeper and more thoughtful image of the same scene. Click on any image to see a larger view. And a big thanks to my friends at lensrentals.com for the Nikon 200-400mm f4 which without many of the wildlife images would not have been possible! Thanks for reading the blog and I'll see you online. A typical seascape a sunrise captured with an ultra wide-angle lens. I waited until a wave broke just before tripping the shutter to capture a dramatic foreground complimented by the sunrise sky. An beautiful sunrise over the marsh. I was drawn to the curves in the marsh and the reflected color from the sky. I was happy to capture this image, but I wanted to tell a story beyond the standard scenic. The bird on a branch portrait does not excite me! 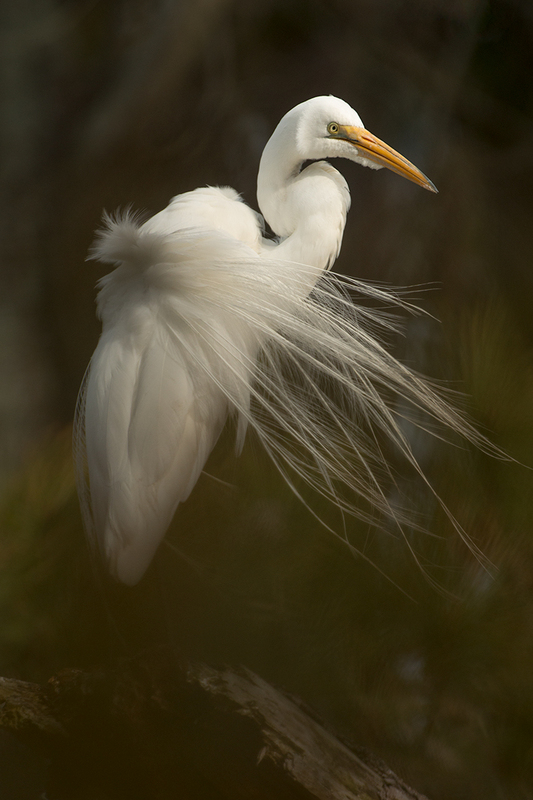 While this image is a nice portrait of a beautiful bird, a Great Egret, it lacks a deeper vision. 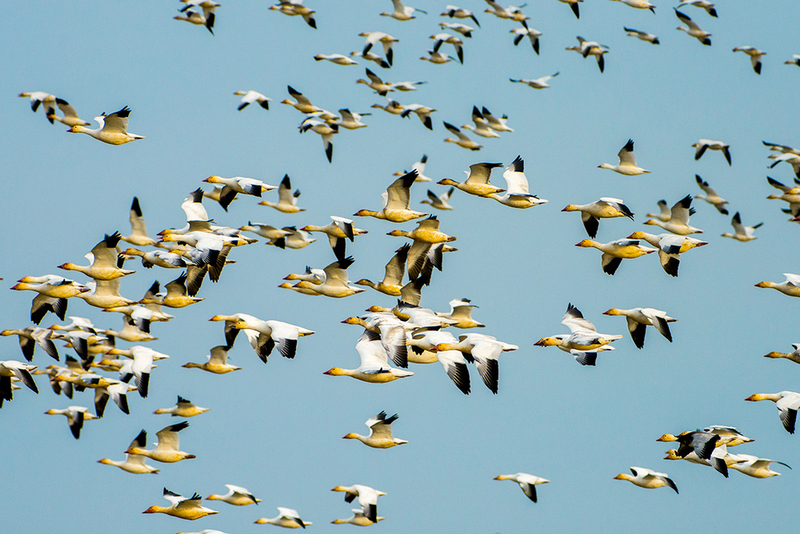 A well composed and sharp image of Snow Geese in flight, yes, but not one that has not been seen a million times before. Just a few minutes later....I used a medium telephoto lens to capture an artistic rendition of sunrise over the Ocean. I panned the camera in a horizontal motion during a 1 second exposure. This image represents a deeper concept. Instead of simply capturing a sunrise, I included this Great Blue Heron and zoomed in capturing an image that tells a story of life on the marsh. The same bird only captured preening its feathers and breeding plumage blowing in the wind making for a more interesing photograph. I was lucky to find another flock of Snow Geese the next morning. I spent over an hour and a half waiting for the flock to lift off allowing me to capture a much more unique image.